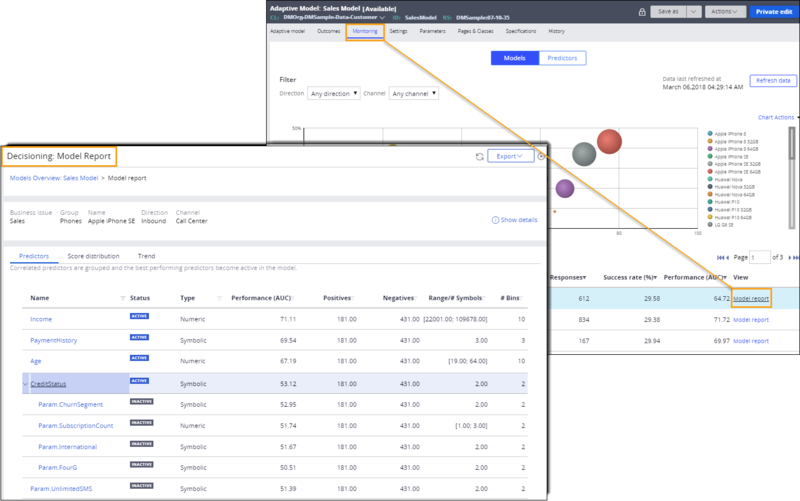 Multiple enhancements to the Analytics Center, Customer Decision Hub portal, and Pega Marketing application improve the functionality and usability of building adaptive, predictive, and text analytics models. 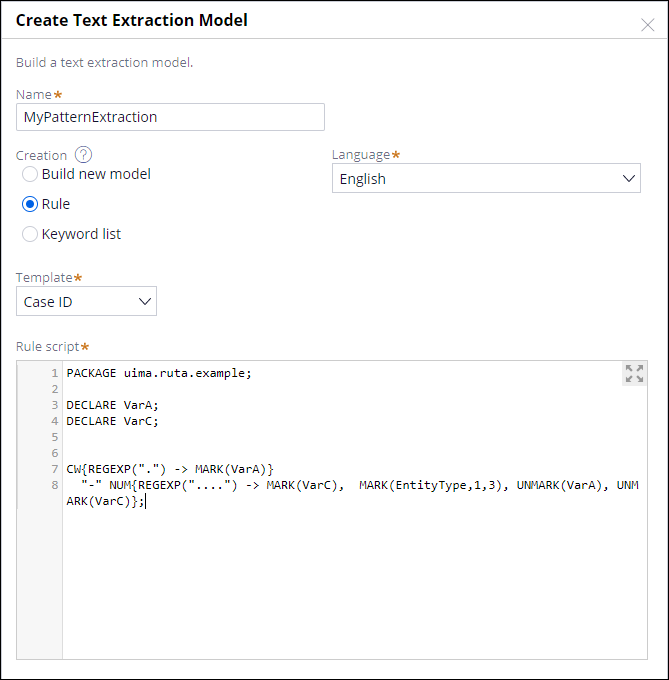 You can now build intent detection and text extraction models by using machine learning in Analytics Center. You can detect user intents that are expressed through written communication (for example, emails, chat conversations), as well as extract named entities from a piece of text with greater accuracy. For more information, see Creating machine learning-based text extraction models and Creating machine learning-based intent detection models. 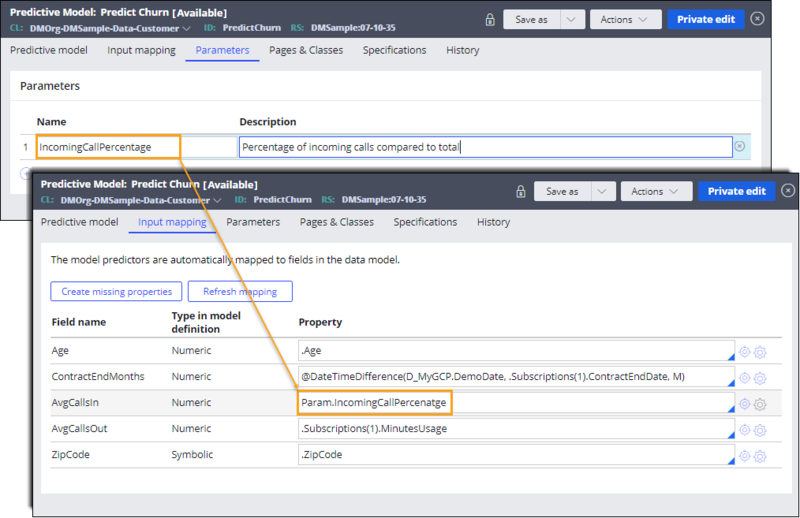 To supplement the machine-learning capabilities of Pega® Platform, you can now create keyword-based text extraction models that contain sets of terms and their synonyms that you extract from the text. Additionally, Analytics Center supports creating custom Apache Ruta scripts for detecting patterns in the analyzed piece of text, such as account numbers, case IDs, ZIP codes, and so on. For more information, see Creating keyword-based text extraction models and Creating pattern extraction models. The new Model report replaces the Behavior and the Performance overview reports, improves report usability, and provides full transparency. This report includes information about the groups of correlated predictors, and provides insight into why predictors become active or not, as the best performing predictor from each group becomes active in the model. You can export your Model reports as PDF or Excel files to view or share them outside Pega Platform. For more information, see Monitoring tab on the Adaptive model form. Data scientists get additional options for building predictive models on Pega Platform. For example, you can use parameters in predictive models and customize hold-out sets during data preparation. In addition, the supported aggregation methods for PMML ensamble models have been extended. You can now upload PMML XGBoost models without making manual changes to the model. You can also upload PMML ensemble models that support additional aggregation methods. For more information, see Creating a predictive model and the Data Mining Group documentation, PMML 4.3 - Multiple Models: Model Composition, Ensembles, and Segmentation. When you select a data source when creating predictive models on Pega Platform, you can now also select a data flow. The data flow must have an abstract destination. For more information, see Data Flows. You have additional options to create hold-out data sets (for development, validation, and testing) that give you more control over the assignment of records to a hold-out set. You can set the size of the hold-out sets in percentages to randomly assign records or take full control and create user-defined sets. For the user-defined sets, you refer to a field that specifies explicitly to which hold-out set a record should be assigned. 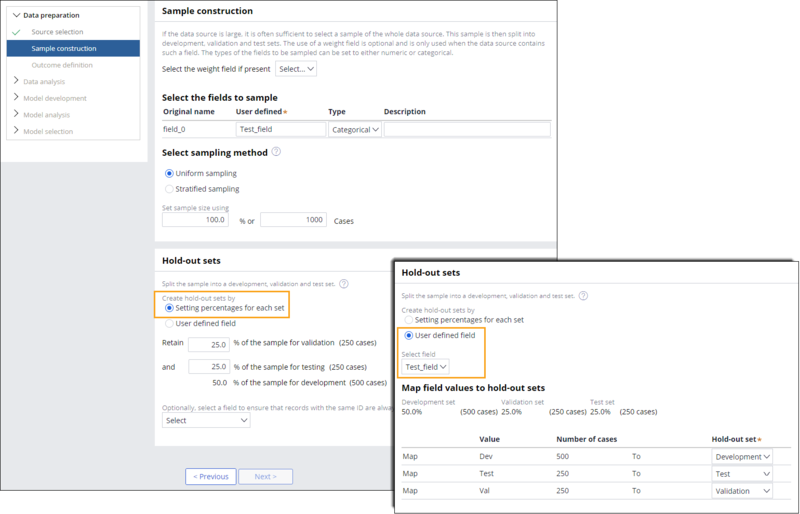 Optionally, when you set percentages for each set, you can select an ID field to make sure that records with the same ID are assigned to the same hold-out set. For example, you can use this option to make sure that family members from the same household or employees in the same company are assigned to a single hold-out set because their customer records might be similar. Comparing data from the development set against a testing set that contains similar records might not result in creating a reliable predictive model. For more information, see Constructing a sample. You can map predictors to parameters on the Parameters tab and refer to them with the Param. prefix. With this option, the values of the predictors can be derived in strategies and passed to the Predictive Model form from the strategy. For more information, see the Predictive Model rule.